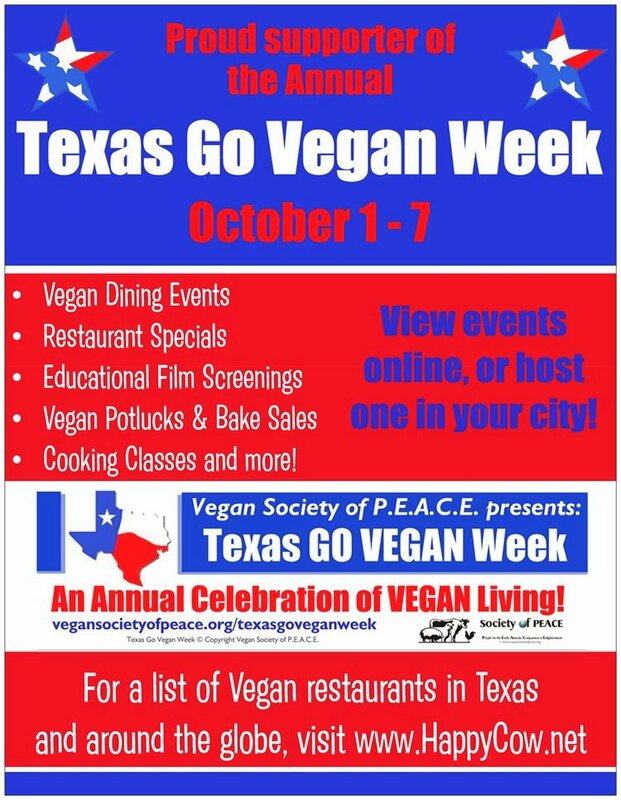 TEXAS GO VEGAN WEEK is a week-long celebration to promote vegan living. Please join us by getting involved during the first week of October! 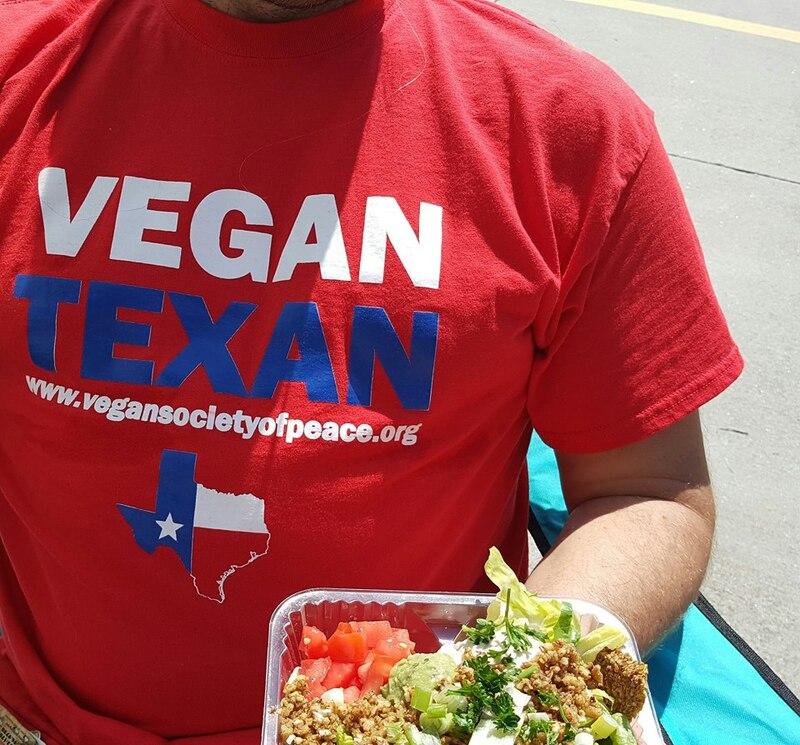 Organize and host an event at any vegan food establishment in Texas -- submit your event here! For a listing of vegan dining in Texas, visit our friends at HappyCow.net. Ask your local vegan food establishments and vegan vendors to offer specials and discounts for this week -- submit offers here so we can help spread the word! Post about TEXAS GO VEGAN WEEK on Facebook and Twitter. Like our official Facebook page and follow our official Twitter feed. 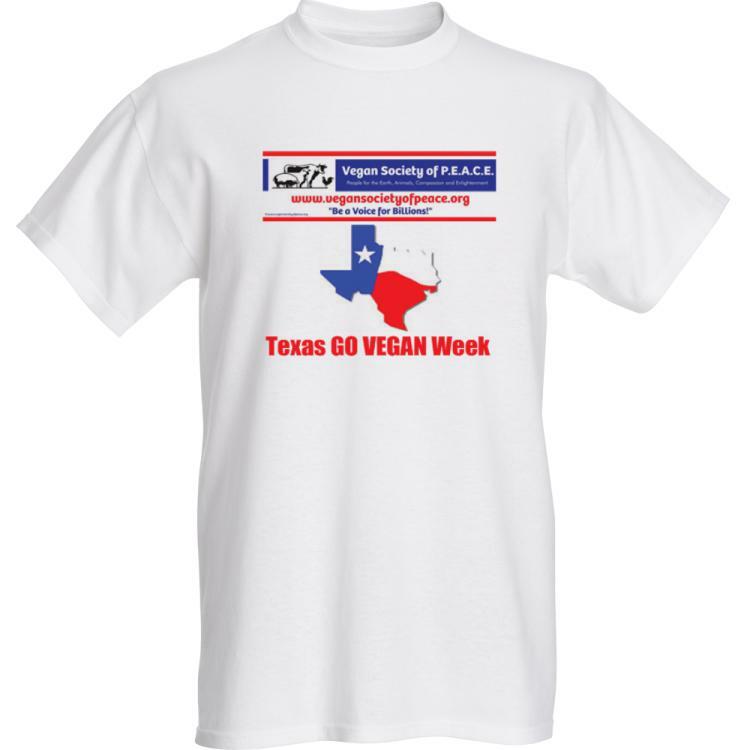 Promote Texas Go Vegan Week by displaying our double-sided posters, wearing t-shirts or distributing outreach cards! Requests can be sent to texasgoveganweek@vegansocietyofpeace.org! If you are a vendor in Texas and would like to participate in TEXAS GO VEGAN WEEK by giving special discounts and coupon offers this week, please contact us! We can provide an image to link directly to the special offers page from any SmartPhone, IPhone or Android. 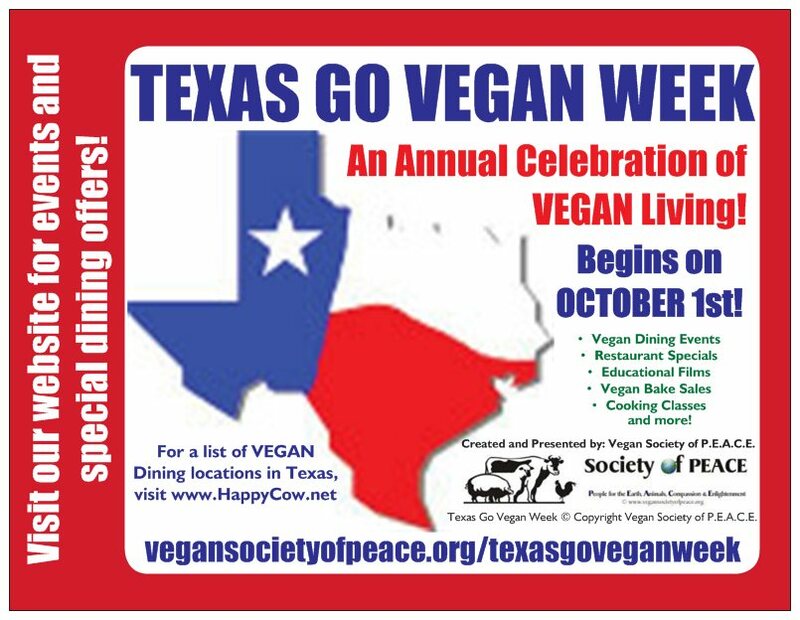 We can also provide TEXAS GO VEGAN WEEK cards and flyers for your business upon request.